The National Youth Chefs Training Programme, created in vital partnership with the National Department of Tourism, is a dynamic, practical and important project that trains and develops previously unemployed youths between the ages of 18 and 35. 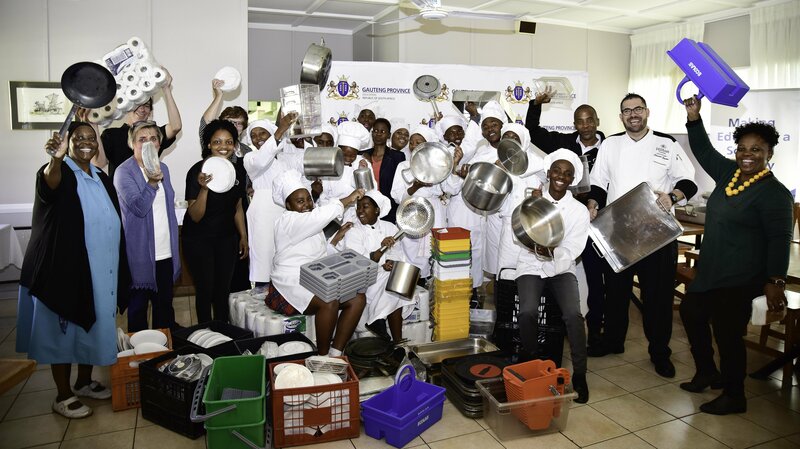 Building on the previous success of the Programme and the partnership between NDT and the South African Chefs Association, in this document, we propose to engage our Training Centers to form part in promoting the Culinary Arts in High Schools through the Adopt a School programme. This initiative is meant to equip High School potential Culinarians with knowledge and resources to pursue a career in the Culinary Arts Industry. The South African Chefs Association has a proud history of promoting the art and science of cookery in South Africa. From humble beginnings in 1974 when a group of six chefs had a vision of an Association that would represent the interests of cooks and chefs across the country, it has grown to become the most recognised and respected representation of chefs in South Africa. The hospitality industry in South Africa remains stilted by the severe skills shortage, and the industry is currently not meeting the demand for qualified chefs. While there have been positive measures in place to assist with this growth, more skilled culinary professionals are needed to meet the demands of local and international travellers. One of the guiding philosophies of SA Chefs is to provide opportunities for development to disadvantaged members of our industry and community. Through SA Chefs’ co-ordination of and participation in local and international competitions over the last three decades, we have ensured the upliftment of the industry to global standards and provided opportunities for previously disadvantaged chefs to further their careers and continue the culture of transferring knowledge through the ranks. Our calling is one of providing our members with the tools to improve their lives and, even more importantly, to have a significant impact on the lives and careers of the chefs with whom they share the knowledge they have acquired through international food promotions, competitions, workshops, educational conferences and learning experiences. 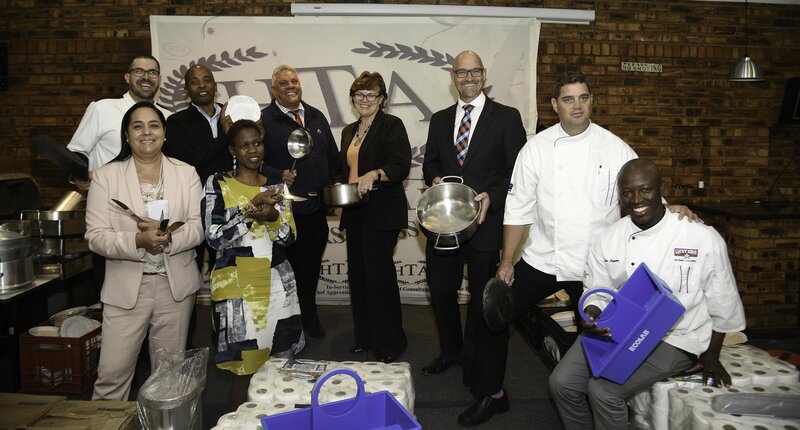 The education environment in South Africa is facing massive changes in which SA Chefs, a SAQA recognised Professional Body, is playing a pivotal role. SA Chefs have been instrumental in the curriculum design of the new QCTO Occupational Qualification: Chef, which was registered by SAQA in March 2015 with the SAQA ID 94941. We are also participating in the Technical Working Group under the guidance of NAMB (national Artisans Moderation Body) designing the Trade Test, Trade test centre accreditation criteria and the RPL toolkit for the New Occupational Qualification: CHEF. SA Chefs is also home to the Centre for Culinary Excellence (CCE) in Auckland Park, Johannesburg, which serves as a comprehensive, interactive, state-of-the-art culinary learning and reference source for professional chefs and students of the hospitality sector in Southern Africa. Emerging businesses benefit strongly from the CCE, in that it is used as a venue to provide theoretical training to Community Caterers through an Enterprise Development Programme. Over 400 small, emerging businesses, such as community catering companies, have been supported by this training programme, developing and growing their businesses and ensuring a high quality of food training and standards that they were not previously exposed to. This has resulted in increased opportunities for their businesses and staff that they employ. To achieve SA Chefs’s role of ‘Reflecting South Africa’s Culinary Diversity’ the Association organises and participates in many events and shows around the country, giving our members (including our NYCTP students) the opportunity to present demonstrations and take part in competitions that not only improve their knowledge and skill but also assist in raising their profile in the industry. SA Chefs is proud to have 8 regional branches around the country. Namely, in Gauteng (Soweto and Johannesburg), Free State, KwaZulu-Natal, Garden Route, Western Cape, Mpumalanga and the North West Province. Our members are spread throughout the country and are represented in all spheres of the hospitality sector, from fine dining to fast food restaurants. 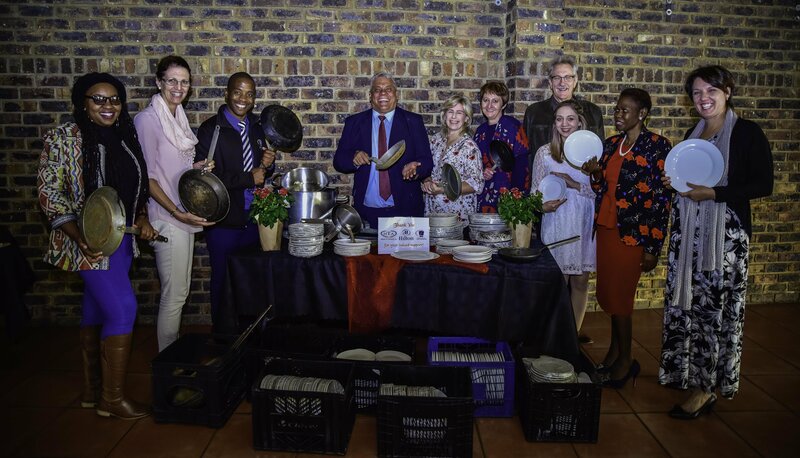 SA Chefs is particularly proud of its charity initiative, the World Chefs Tour Against Hunger (WCTAH), which provides food for children in need. This feeding scheme now successfully provides meals for over 8000 children on a daily basis, country wide. SA Chefs has a proven track record of implementing and managing far-reaching programmes with social impact, the pinnacle of which is the National Youth Chefs Training Programme – the successful, award-winning programme that is made possible by the vital support, partnership and sponsorship of the National Department of Tourism. The South African Chefs Association has been very active in producing quality Chefs throughout the Country, and it has been discovered that there’s still shortage of Chefs in the Country. NYCTP partners may donate any of their unused Equipment or furniture that the High School may need. NYCTP Partners may also donate Cook Books to the High School learners that are studying towards Hospitality or Culinary Industry. NYCTP Partner may also participate High Schools information sharing days to alert the learners about opportunities in the Culinary Industry. It has been identified that most High Schools that are based in poverty stricken areas do not have knowledge and awareness of the Culinary Arts profession, which requires the Professionals to invest or create interest to the Youth of this Country about Culinary Industry.